EDEN PRAIRIE, Minn. -- Adrian Peterson will undergo surgery on his right knee to repair a torn meniscus and Minnesota Vikings coach Mike Zimmer says the star running back could return this season. 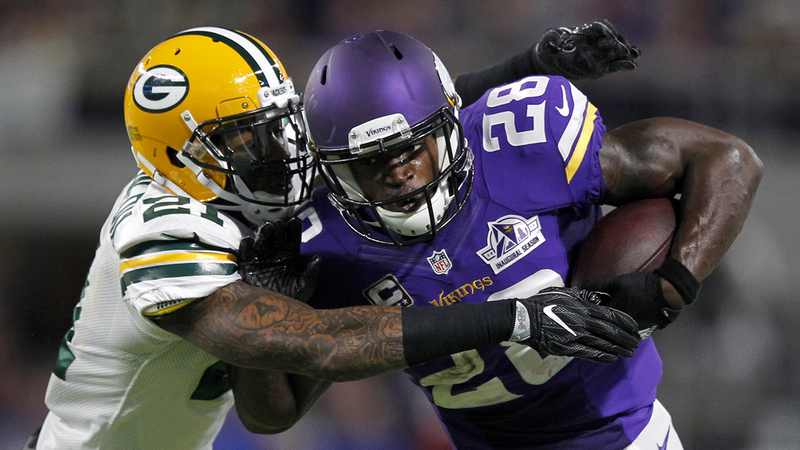 Peterson was injured in Sunday night's victory over Green Bay. The 2012 league MVP made a fast recovery from a torn ACL in his left knee suffered at the end of the 2011 season, then rushed for more than 2,000 yards in 2012. Minnesota (2-0) on Wednesday signed running back Ronnie Hillman, who was with the Broncos when they won the Super Bowl last season. Jerick McKinnon will start at Carolina. The Vikings also placed starting left tackle Matt Kalil on injured reserve with a hip problem that will require surgery.